The creation of beauty is an art. We have been growing, breeding and harvesting the world’s most elite roses for nearly 20 years. Our meticulous care, hand-inspection of every rose and proven processes ensure the roses will last as long as possible. From the moment Rosaprima roses leave the farm, through the journey to reach the end customer, we strive to deliver the most luxurious, longest-lasting roses. 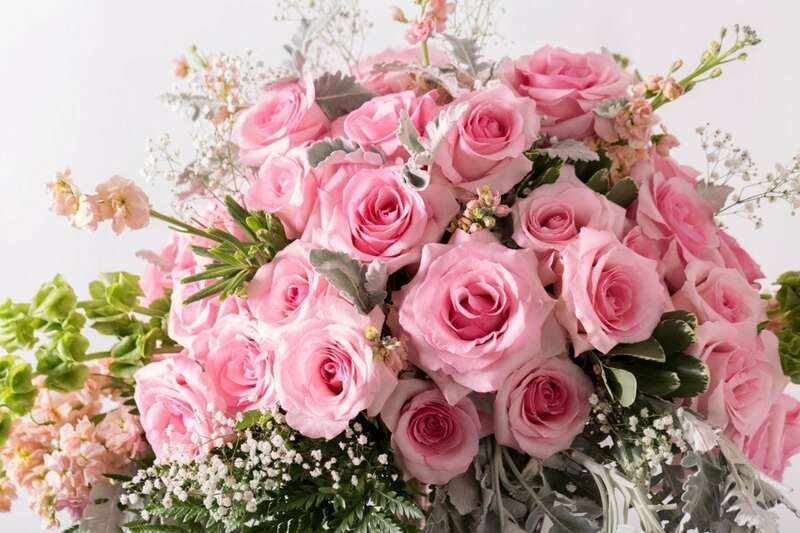 All transporters along the distribution chain who handle the flowers, from trucking companies, freight forwarders and cargo agencies –specialize in handling flowers and monitor the cold chain to protect the integrity of Rosaprima roses. We offer some advice to guarantee the highest quality and longest lasting roses. • Once the flowers leave the farm, the most important factor to monitor is temperature and relative humidity (the cold chain). • Maintain optimum temperature for roses during transportation and handling. The correct temperature is 1-2 °C or 34-36°F with a relative humidity above 80%. • Upon receiving Rosaprima roses, open the boxes immediately and inspect them carefully. All bunches should have printed barcodes and a unique serial number. The top and bottom of all boxes, as well as packing materials has the Rosaprima logo clearly printed on it. • Carefully re-cut each individual stem approximately one inch from the base of the existing stems with clean, sharp pruners. • Place each bunch in a bucket of clean crisp tap water. If you wish to use a floral preservative we recommend RVB Chrysal Solution Number 1 or a solution with no sugar content. • Fill the bucket as much as possible. The more water, the better the roses will hydrate. • Make sure the leaves are above the waterline in order to reduce bacterial contamination of the water. • Keep the cardboard wrapper on the bunch for a minimum of four hours. If after the initial four hours of re-hydration you would like the flowers to bloom more rapidly, remove the cardboard wrapper and let the bunch unfold into the plastic cellophane wrapper. • Keep roses refrigerated at 1-2 °C or 34-36 °F with a relative humidity above 80%. • Carefully re-cut each individual stems approximately one inch from the base of the stems with clean, sharp pruners. • Gently remove the leaves from the bottom half of the stems. • Place each bunch in a bucket of clean crisp tap water. • If you wish to use a floral preservative we recommend RVB Chrysal Solution. • Try to fill your vase as much as possible. The more water the better your flowers will hydrate. • Make sure the leaves are above the waterline in order to reduce the possibility of bacteria in the water. • Change the water at least every two days. • Re-cut the stems every two days. • Keep flowers away from direct sunlight, heat or air conditioners. Follow the tips and enjoy the beauty and charm of our roses.